I absolutely love brunching in the Back Bay but I'm starting to grow tired of the same Newbury and Boylston Street hotspots. 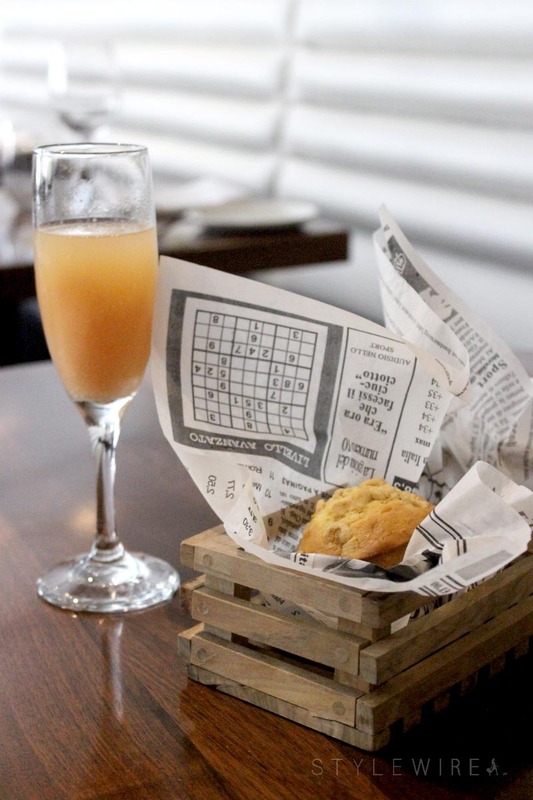 So many of my favorite restaurants have expanded their menus to offer brunch, including one of my favorite places to grab an after work drink, STRIP by Strega! My friend Cam and I went in for a visit to check out their new brunch menu, and it was phenomenal. I'm pretty sure Cam didn't stop talking about our brunch date for days after! 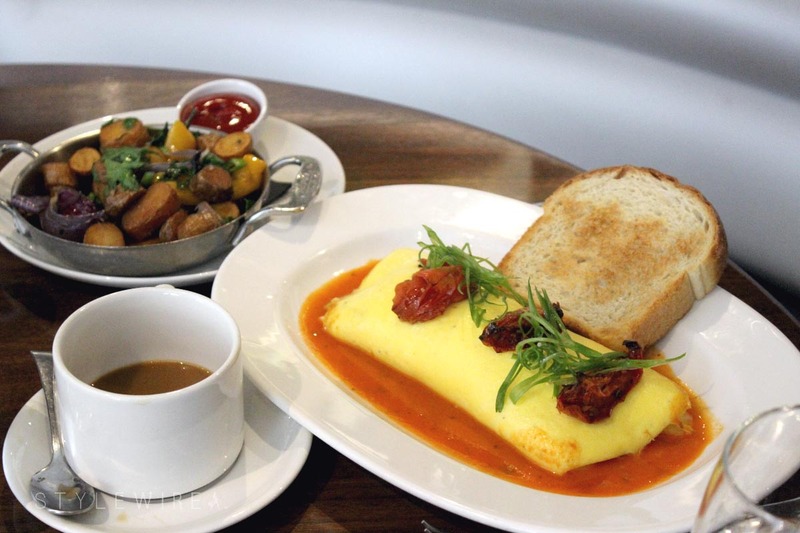 Brunch at STRIP by Strega features a full Mimosa and Bloody Mary bar and a mouth-watering list of decadent entrees such as the Jumbo Lump Crab Omelette, Smoked Salmon Eggs Benedict, and Wild Mushroom Frittata. 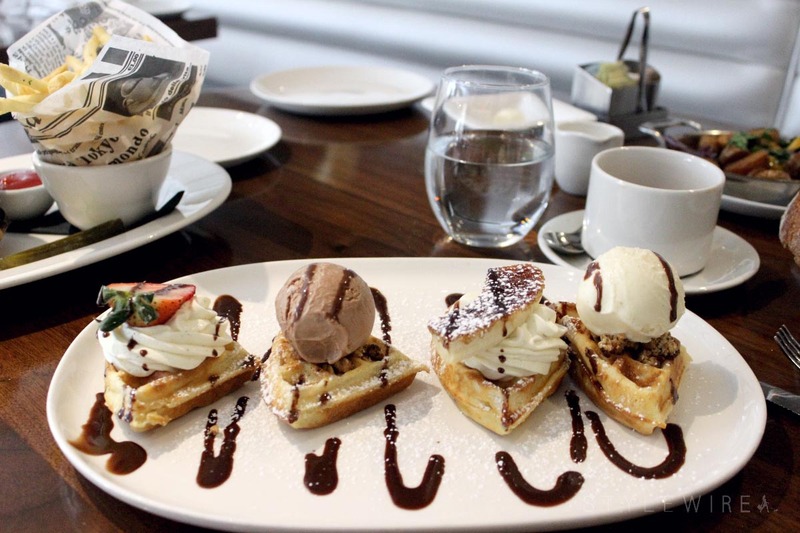 For those who prefer their brunch on the sweeter side, they also have Raisin Brioche French Toast, Crepes, and "The Waffle" topped with fresh berries and caramel whipped cream. A trip to the Mimosa bar was definitely in order and I loved that they had a full selection of juices to choose. 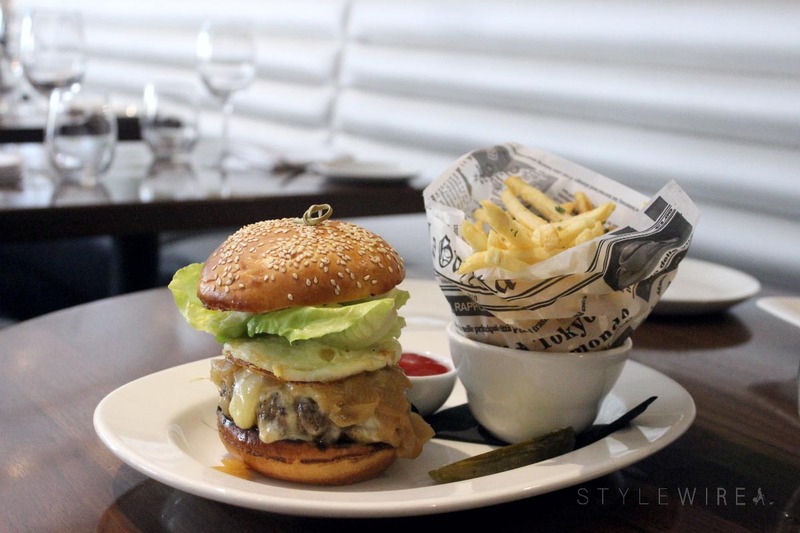 It was a late brunch so I opted for the Strega Burger + Egg with a side of Truffle Fries while Cam opted for an Omelette with a side of roasted potatoes. My burger was cooked to perfection and topped with a fried egg, while Cam's omelette was fluffy and flavorful. We split their delicious dessert waffle topped with ice cream and rounded it out with coffee and more mimosas. 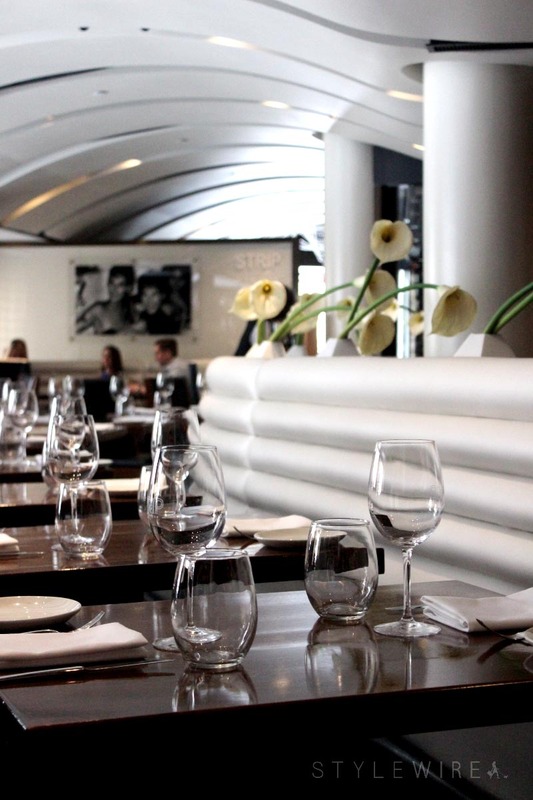 Brunch is served at STRIP by Strega every Sunday from 11am-3pm! I was provided a complimentary meal for review purposes. All opinions expressed are my own. Thanks for supporting those who support Style-Wire.com!